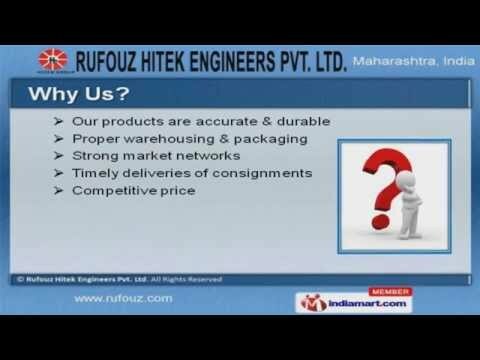 Welcome to Rufouz Hitek Engineers Pvt. Ltd. Manufacturer & Exporter of Chemical & Allied IndustryThe company was incepted in 1984, at Mumbai. Our Reliable vendor base, experiencedstaff & complete client satisfaction make us different from others. Excellent logistic support, Competitive price & Strong market networks help us toachieve an unrivalled position in the industry. We offer a wide assortment of Extraction Systems, Structured Packing & Inline StaticMixer. Our Extraction Systems that are in huge demand across the global markets. We offer Structured Packingâs that are nothing but the best solution for all your needs. inline Static Mixers offered by us are widely appreciated in the market. Along with that we offer Heat Transfer Reactors that are well known for their durability. We also provide Industrial Microwave Drying Systems that are extremely reliable.